Cleveland Browns: Sam Darnold, QB, USC: Considered the safe pick of the draft, the Browns will want Darnold as they don’t want to deal with the business of drafting a risk. The Browns also traded for Tyrod Taylor, and picking Darnold first seems as the perfect option for the Browns as he is a perfect long term option and seems as the best fit to back up Taylor. New York Giants: Josh Rosen, QB, UCLA: This could be a possible trading spots for teams to pick up the second quarterback, but for now, let’s stick to the Giants. Rosen, has proved himself as an outstanding pocket passer, and will be a good fit for the Giants. He is also the perfect backup to the ageing Eli Manning, who at most, has got another two years left inside of him. 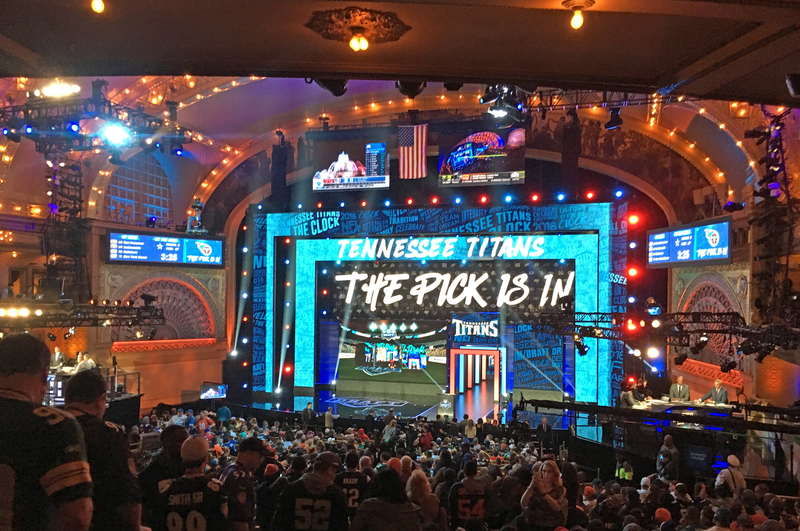 New York Jets: Josh Allen, QB, Wyoming: The Jets, who traded up to get this pick, will want to make it count. Even though the Jets signed Teddy Bridgewater, the Jets still need a stable QB to back him up and also a future replacement. With his ideal size and strong arm, Allen has proved to be a top choice for the draft. Cleveland Browns: Saquon Barkley, RB, Penn State: With the Browns picking a QB with the first pick, drafting a RB seems like the perfect option for the Browns here. Saquon Barkley has the perfect fit for a NFL running back and also has the potential to be a first year starter. Denver Broncos: Denzel Ward, CB, Ohio State: Denzel Ward seems like the ideal pick for the Broncos here. As the Broncos let go of their star cornerback Aqib Talib, Ward seems like the perfect replacement. Indianapolis Colts: Quenton Nelson, OG, Notre Dame: The Colts have two main options with this pick. It’s either Saquon Barkley or Quenton Nelson. With Barkley gone, Nelson it is. The Colts need some desperate help with their offensive line and Quenton Nelson seems as the ideal pick at this point for them. Tampa Bay Buccaneers: Minkah Fitzpatrick, DB, Alabama: A versatile defensive player, Minkah can play at both safety and cornerback. This makes him an asset to the Buccaneers as they are in dire need for a good pass rusher. Chicago Bears: Roquan Smith, LB, Georgia: Smith will be a vital addition to the Bears secondary and will be the best pick for them unless Notre Dame guard Quenton Nelson is still available. San Francisco 49ers: Bradley Chubb, DE, NC State: The 49ers were 26th in the league in sacks last season and desperately need a pass rusher. There is no better option than Bradley Chubb. Oakland Raiders: Derwin James, S, Florida State: With Jon Gruden as head coach, the Raiders will be looking for some strong defensive players and Derwin James seems like an ideal fit to them. 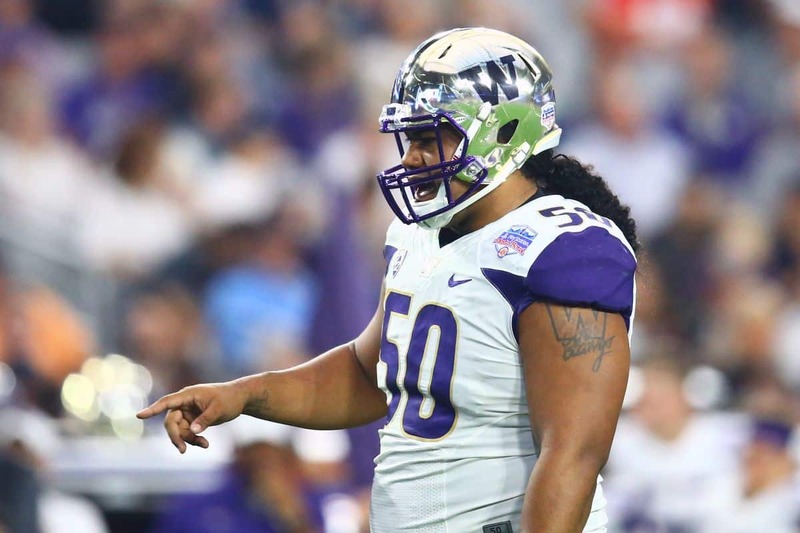 Miami Dolphins: Vita Vea, DT, Washington: With the departure of Ndamukong Suh, the Dolphins will looking for a replacement and defensive tackle and it looks like Vita Vea, the 340 pound DT is the best solution for them. Buffalo Bills: Baker Mayfield, QB, Oklahoma: With Tyrod Taylor gone, the Bills desperately need a replacement and a franchise quarterback. Mayfield, the Heisman Trophy winner, will surely be a good fit and has shown he has the talent to step up to the next level. Washington Redskins: Tremaine Edwards, LB, Virginia Tech: The Redskins will need to step up on defense if they want any chance of making the playoffs. Edwards seems like an ideal pick for the linebacker position. Green Bay Packers: Josh Jackson, CB, Iowa: The talented CB is exactly what the Packers need right now as the cornerback position has always been their weak spot. Baltimore Ravens: Calvin Ridley, WR, Alabama: A great receiver, he should be an ideal target to Joe Flacco and he also has the capability to make big plays. 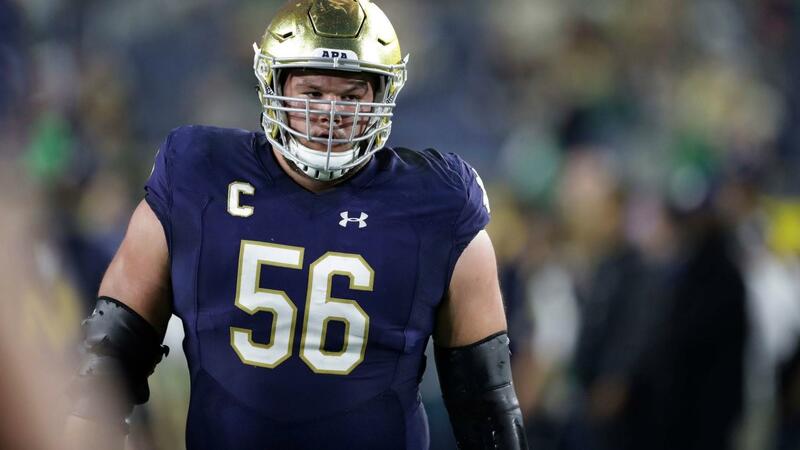 Los Angeles Chargers: Mike McGlinchey, OT, Notre Dame: The Chargers should look to address their issues at tackle and draft McGlinchey. Seattle Seahawks: Da’Ron Payne, DT, Alabama: The Seahawks secondary seemed pretty solid last season and an addition to the DL will be what many fans are looking for. Dallas Cowboys: Courtland Sutton, WR, SMU: With the shocking release of Dez Bryant, the Cowboy’s will desperately need a receiver which has been a cause of concern for a while. Detroit Lions: Marcus Davenport, DE, UTSA: Davenport will be a great addition to the Lions and will be great lining up near Ziggy Ansah, which will make the Lions a good sacking team. Cincinnati Bengals: James Daniels, C, Iowa: With a team which has a huge gap in it’s offensive line, Daniels seems like the perfect solution with good potential. Buffalo Bills: Leighton Vander Esch, LB, Boise State: The drafting of him should address a major problem for the Bills defense and increase the worth of the secondary. New England Patriots: Kolton Miller, OT, UCLA: With the departure of Nate Solder, left tackle should be the Patriots’ primary need and Kolton Miller seems like a pretty good option. Carolina Panthers: Christian Kirk, WR, Texas A&M: The Panthers mainly need a wide receiver or a cornerback and drafting Kirk should prove good in their situation. Tennessee Titans: Harold Landry, DE, Boston College: A pass rusher for the Titans will go a long way for them and greatly improve their defense. Atlanta Falcons: Maurice Hurst, DT, Michigan: With the exit of Dontari Poe, a defensive tackle will be much needed. Hurst will be a great pick with his speed and ability. New Orleans Saints: Hayden Hurst, TE, South Carolina: An ideal target for Drew Brees, Hurst should be a day 1 starter wherever he goes. Pittsburgh Steelers: Derrius Guice, RB, LSU: Life without Le’veon Bell could come sooner or later. Guice will be a good fit and an ideal replacement. Jacksonville Jaguars: Connor Williams, OT, Texas: With their great run game, Williams will be a boost to the Jaguars already stacked offense. Minnesota Vikings: Orlando Brown, OT, Oklahoma: The biggest concern for the Vikings last year was the O- line, and with the arrival of Kirk Cousins, Brown would raise the bar for the offensive line. New England Patriots: Lamar Jackson, QB, Louisville: Tom Brady can’t go on forever. A backup solution will be needed pretty soon and drafting Jackson seems like a good solution. Philadelphia Eagles: Rashaan Evans, LB, Alabama: The reigning champions will look to add more depth at the linebacker position and strengthen their case for a second straight Super Bowl.